Pixpet.net - Forum - News - Gallery Feature - Huge Update! Gallery Feature - Huge Update! A big update to the gallery feature has just been made! All gallery related links can be found trough the forum now under the new gallery tab! It is now possible to link to a single gallery image! This makes it much easier to share single submissions. 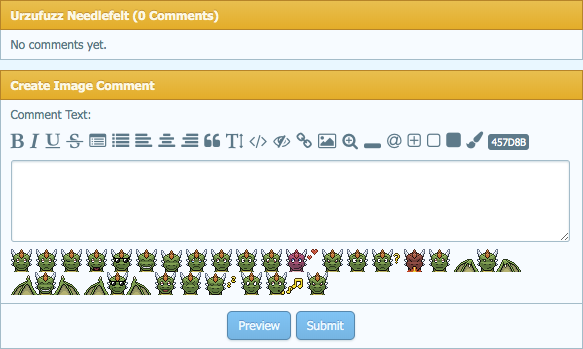 Click on the image title or the new button Comments to reach a gallery submission pages. They will show you who liked/faved an image as well as image comments. It is now possible to leave comments to gallery submissions! Gallery comments count as forum posts and you will also receive forum points for them! The same rules apply to gallery comments as for forum posts of course. They can be edited, quoted and reported. If you lose the right to create forum posts you will also not be able to post gallery comments anymore and vice versa. There is now an overview for all people you follow and follow you! When you gain a gallery follower. When someone you follow uploads a gallery image. When someone comments on your gallery upload. When someone tags you in a gallery comment. The three most popular artworks uploaded in the last Seven Days will now be displayed in the module to the right of the page. Each gallery image has now a thumbnail, so the additional data use is minimal. The goal of the gallery update is to make more people aware of this feature and the great pixpet artwork that is uploaded every day! 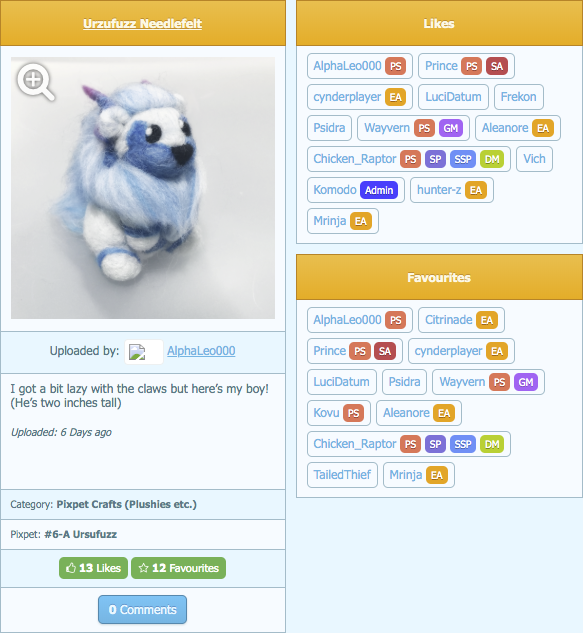 It will also increase the focus on the "Network" part of Pixpet (Pixel Pets Network)! Comment on all the things! Love this update, so many new features to be excited about! Oh, this is wonderful! I'm a huge art nerd and will definitely be using these features. Thanks so much for all of your hard work! hooray! I'll have to draw some pixpets! Oh boy I'm featured! For now! these are such cool additions!! in the future, is there the possibility of having a few different gallery tabs, like one for pixpet related art, one for gen art, etc.? i think general art sharing in this way would be a lot of fun too! I'd love a general art tab too...i'd love to have a place to put the commissions i make for people on here! I love that you can see who liked and favorited now! Great update! Oh that's so neat! Thanks for the update! Very excited for this update! It’ll be so much easier to look at peoples’ art now. c: Thank you, Staff!